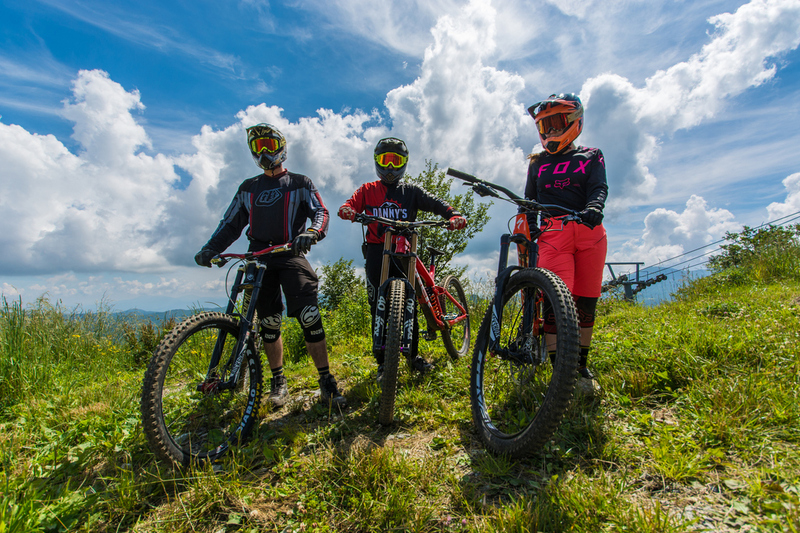 The rebuilt and expanded bike park includes its signature expert terrain and newly built beginner and intermediate trails. Varying line option choices from the summit to the base include rollers, small dips, table tops, and other fun features. 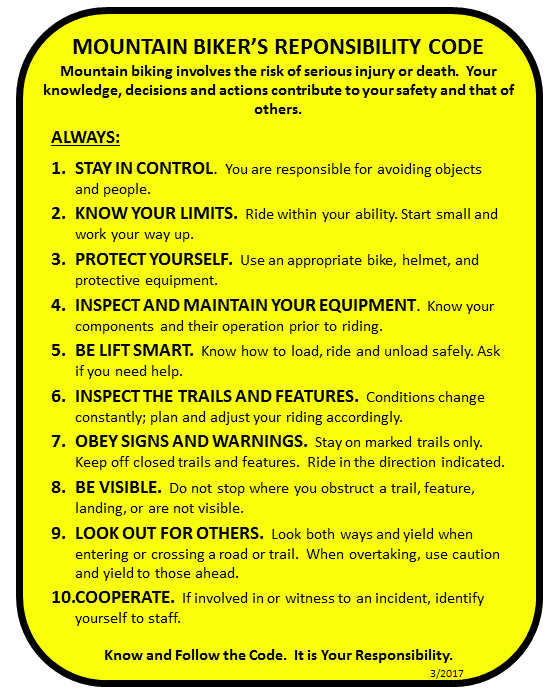 Always observe all signs and beware of trail maintenance. Valid trail access/lift ticket required at all times to enter the trail system. Bicycle helmets are required by Village Ordinance. 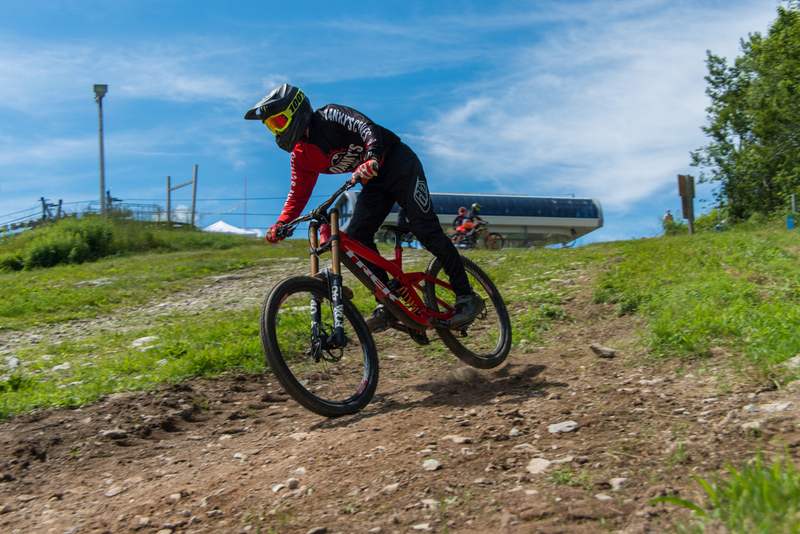 Full-face helmets are required when riding any downhill expert trail. We also offer group tours for $ 25 per group for a maximum of 10 people. Payment for groups must be made in one single transaction at the ticket window in the main lodge. 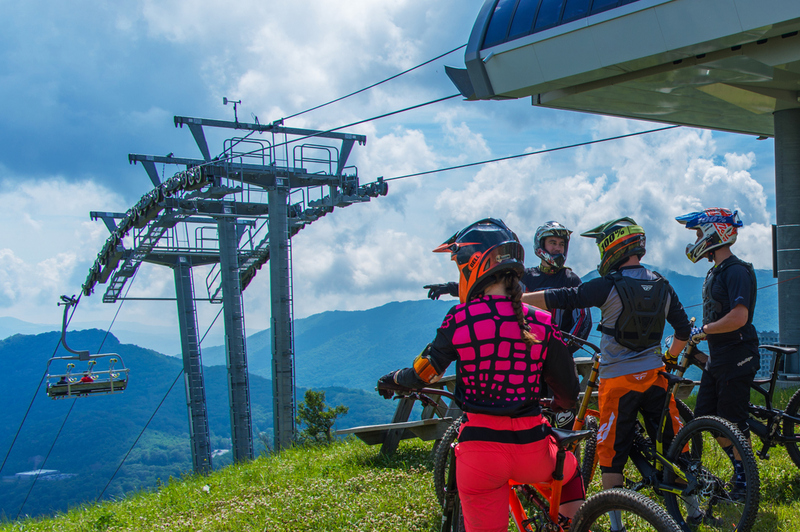 Tours are for those who have never ridden at Sugar Mountain Resort and need someone to show them around for a run or two. Participants are introduced to the lift service, trail signage and map use. There is no skill instruction with this service. ½ hour tour – $25 for the first person, $5 for each additional person, not to exceed 4 per tour. 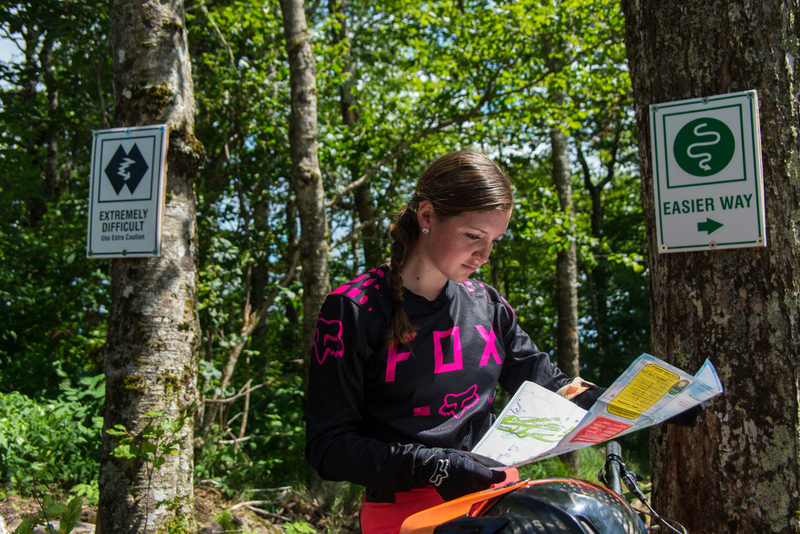 A lesson introduces the rider to lift service, trail signage, map use, the elements of bike control through body positioning, braking, and cornering. One-hour lesson – $45 for the first person, $15 for each additional person, not to exceed 4 per lesson. Bike, gear, and lift ticket not included. Reservations are recommended for tours and lessons. No guarantee for walk-ins. 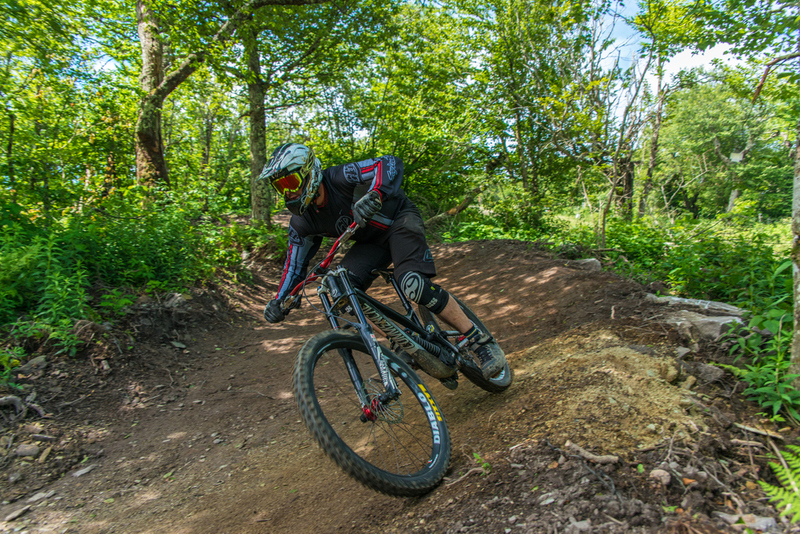 Call 800-SUGAR MT or 828-898-4521 x 202 Monday through Friday between 8 a.m. and 4 p.m. or email bike@skisugar.com. In Case of Emergency – call 828-898-4521 x 287 or x 284. Bike wash stations are available at the Snowmakers Hut and the Ski Patrol building. See map for location. The Magic Cycles bike shop is located on the first floor, inside the base lodge. Bike rentals include knee/shin & elbow pads, and a full-face helmet. The user is responsible for all damages at the shop’s cost. Reservations can be made through our Boone location (828-265-2211), a $20 non-refundable deposit will be taken at the time of the reservation. We take a security deposit by making a card imprint and taking down DL information. Anyone under 16 requires a parent/guardian present or they can call the Boone location to get a waiver that must be notarized. Signed waivers are required for all bikers. 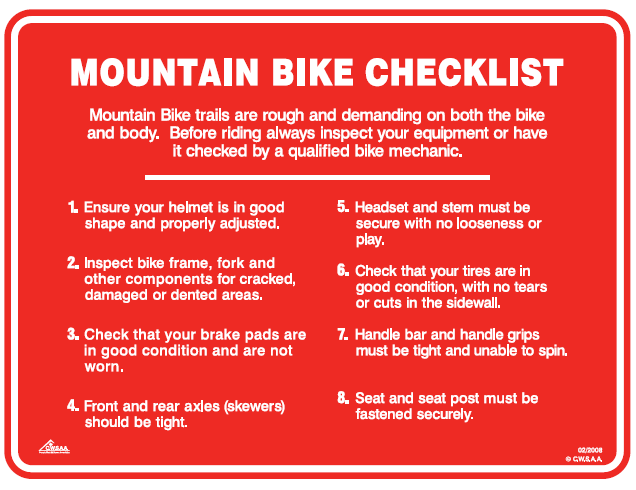 Save time by downloading and signing the Mountain Biking Waiver (PDF)! If you are under the age of 18 and are riding without a parent or guardian, please have your parent or guardian complete this release before you arrive at the ticket counter.